The assistant referee fitness test is different than the one for (center) referees. 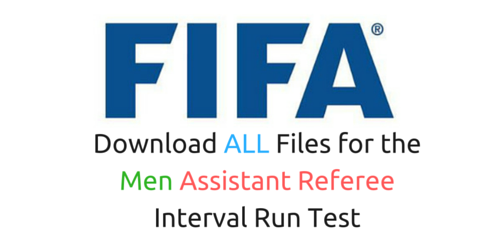 If you want to see the physical requirements for referees, check out their Fifa fitness test for referees. The official fitness test for football assistant referees consists of three tests. Test 1 is the CODA test, which assesses the assistant referee’s ability to change direction. The Repeated Sprint Ability (RSA) test is the second test. It measures the assistant referee’s ability to perform repeated sprints over 30 metres. Test 3 is the Interval Test and the test evaluates the assistant referee’s capacity to perform a series of high-speed runs over 75 metres interspersed with 25 metres walking intervals. The time between the end of Test 1 and the start of Test 2 should be 2 to 4 minutes maximum. The time between the end of Test 2 and the start of Test 3 should be 6 to 8 minutes maximum. Tests must be performed on a stable surface such as an athletics track or football field. Athletic spikes may NOT be worn during the tests. Because the page will get too long, I have published all tests on a seperate page. You can click the images below to read the procedures and requirements for those tests. Test 1 for assistant referees is the Change of Direction Ability (CODA) fitness test. This test is introduced in 2016 and the goal is to assess the assistant referee’s ability to change direction. 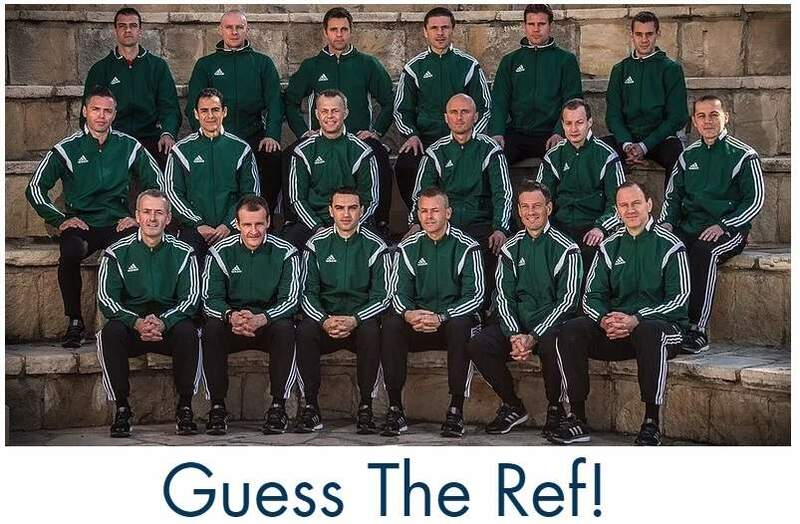 Improve your assistant referee fitness abilities and check out the CODA test. This test is created to measure if assistant referees are able to sprint five times within a certain time limit. Check the procedures and requirements of the Repeated Sprint Ability Test. 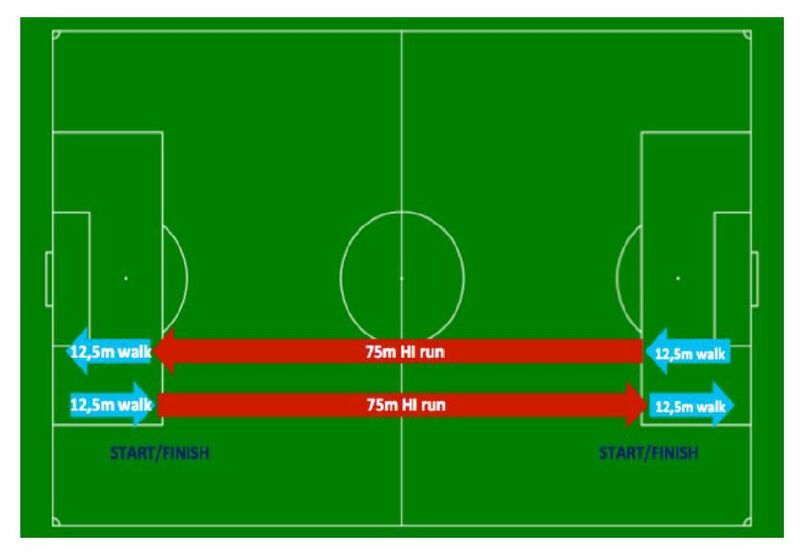 Assistant referees must complete 40 x 75m run / 25m walk intervals. This equates to 4,000m or 10 laps of a 400m athletics track. 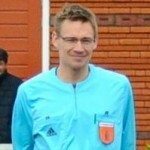 The pace is dictated by the audio file and reference times are set in accordance with the referee’s category. If an audio file is not available, an experienced physical instructor should use a stopwatch and whistle. Assistant referees must start from a standing position. They must not start before the whistle. To ensure that referees do not start early, assistant test leaders should be positioned at each start line to control the start. 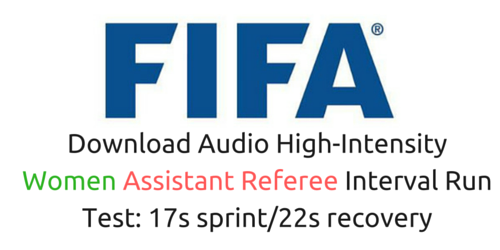 If you want to train at home with the Fifa Interval Test, it's much easier with audio files. You can download the specific files for men assistant referees via the buttons below and play them on your phone or music device. Good luck with the tests. If you want to train at home with the Fifa Interval Test, it's much easier with audio files. You can download the specific files for women assistant referees via the buttons below and play them on your phone or music device. Good luck with the tests.